First time on Blu-ray in the world! Day of Anger is a top shelf release from Arrow Video. 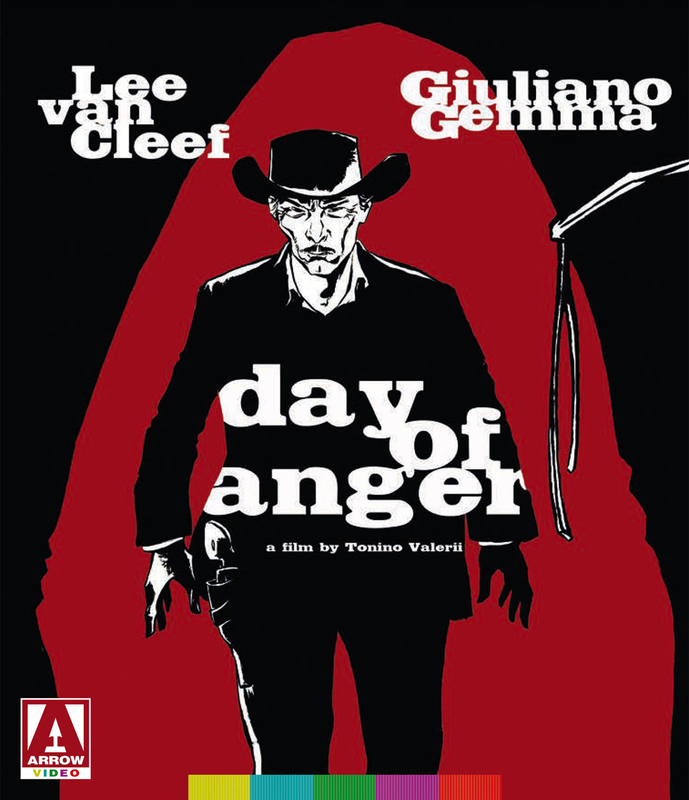 A must-have for fans of Van Cleef and the spaghetti western genre. It's a fantastic film and a terrific showcase for an icon of cinematic badassery. I'm in awe of what Arrow Films has delivered with this opening salvo, and that goes for their choices of films for the label's American debut as well as the truly exceptional presentations they've put together. Very, very Highly Recommended. You won't be disappointed in any way by this perfect presentation. Welcome to America, Arrow Video. Arrow has put a lot of effort into this restoration, going so far as to include three versions of the film, including the truncated version that was released theatrically in the United States. Arrow has put together quite an admirable package for this unduly under-celebrated Spaghetti Western, which receives our immediate recommendation for the genre's fans.